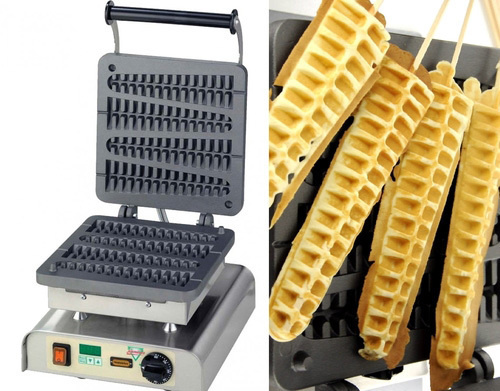 SupersizedMeals.com: The Wafflesicle, Breakfast on a Stick! Lolly, from Triangular Concept, can crank out four of these delicious-looking treats in under two minutes. Which is good, because that's about how long it'd take me to down the first batch and be ready for the second.